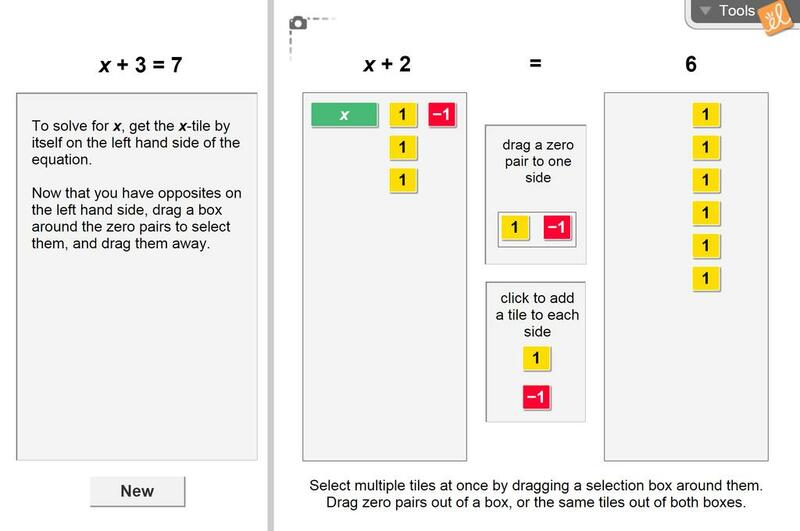 Solve a linear equation using a tile model. Use feedback to diagnose incorrect steps. Great Gizmo for conceptual understanding of solving equations. Basic intro to solving one step equations. Very nice gizmo! However - I do wish that the algebra tiles were not automatically distributed equally to both sides of the equation. Demonstrates the zero principle perfectly!